A common challenge for transfer schools, working with students who were once at risk of dropping out of school altogether, is that of adequately preparing students not only to graduate but to go on to college. 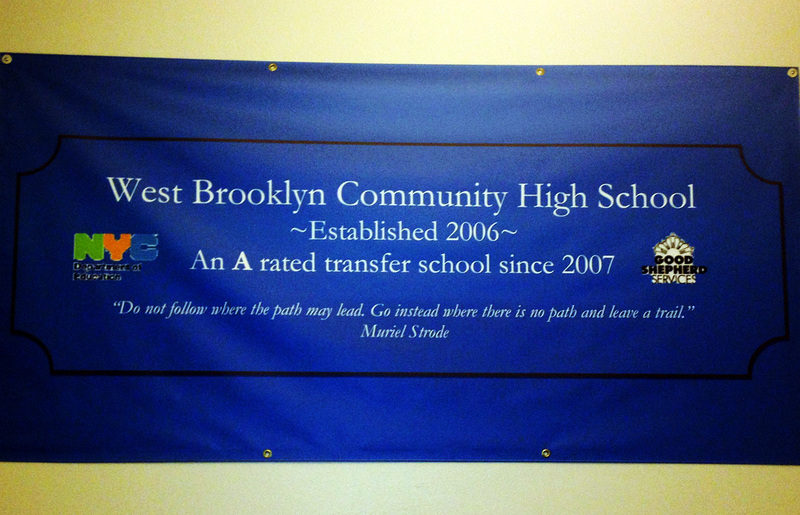 At West Brooklyn Community High School (WBCHS), a transfer school in the Sunset Park neighborhood of Brooklyn, teachers had agreed that teaching cognitive skills was key to addressing that challenge but perceived a challenge in identifying and assessing these skills, specifically those that cannot be easily conveyed through student writing. In 2010, teachers and leaders at the school joined with Eskolta, analyzing David Conley’s Four Dimensions of College Readiness, such as reasoning and argumentation, research, precision and accuracy, problem solving, and inquisitiveness and inquiry. WBCHS worked with Ben Lorr from Eskolta along with the CUNY At Home in College (AHC) program to focus on two cognitive skills in particular: inquiry and problem solving. A group of four teachers formed the Cognitive Capacity for College (C3) Group, meeting monthly with Eskolta to develop rubrics focusing on the chosen skills. Eskolta staff helped WBCHS to create and refine these rubrics and instruction that stemmed from them by videotaping students in the classrooms and providing notes on student behavior using the rubrics as a lens. The teachers piloted the rubrics by selecting a sub-element of each skill to teach. For example, Living Environment teacher Lisa Fort focused on developing students’ problem-solving skills and specifically on their ability to “identify the necessary information within a problem to arrive at a solution.” With this laser focus, teachers asked themselves what indicators would tell them that this is occurring. For Lisa, the indicator was that when “given a word problem that is similar to a previously assigned number problem, the student is able to identify the appropriate numbers within the word problem.” At different stages throughout this process, Eskolta helped teachers explore ways to capture and assess data. Since its initial work with Eskolta, WBCHS used the information and tools they developed to continue teaching and assessing college-ready inquiry and problem solving. The C3 group assessed students’ skills and entered data into PowerSchool, the school’s student information system. This generated key information that shaped discussions between students and counselors. The C3 group then presented results from the pilot work with college-ready rubrics to the full WBCHS staff and ultimately provided schoolwide recommendations to help shape how the school furthers college-readiness through cognitive skills.